Are you feeling depressed most of the time? Do not wait for these negative feelings to go away by themselves. 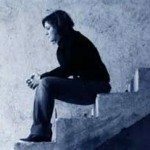 You should read this article for some useful tips that will help you deal with your depression. Expressing yourself is very important. If you cannot talk to a friend or family member about your feelings regularly, start a journal or try different artistic activities. Creating something will allow you to explore your emotions, understand them and eventually get over them. If you are shy and do not wish anyone to know about your feelings, keep these writings or drawings to yourself. Do not worry about the quality of your work, as long as you are able to really express the way you feel. Keep your stress levels under control, and do your best to live on a normal schedule. Avoid stressful situations, and take some time off work if you need to. Make an effort to get up at the same time everyday, have your three meals at regular hours and go to bed early enough to get eight hours of sleep. It will be easier to work toward resolving your issues, if you keep a regular schedule and have the energy you need to tackle your depression. Do some research about depression. Learning more about depression will help you understand what is happening to you and also make you realize that getting over these feelings is a possibility. Keep in mind that some days will be a lot worse than others, and getting over your depression can take a long time. You should also research different techniques used to cure depression, such as positive thinking, therapy or medication. Once you understand how these treatments function, you will be able to choose which one is the most appropriate in your case. Get help from a professional. Talk to your usual doctor, and ask for a referral so you can go see a specialist, such as psychologist or a counselor. The person who treats you will help you identify what is causing these negative feelings and guide you as you learn to express yourself and find a solution to your problems. If your depression is caused by issues you are not fully aware of, therapy is the only way to get these issues to surface. If you do not feel like the professional who is treating you is very efficient, do not hesitate to look for another doctor. Taking antidepressants should not be a long term solution, but it will definitely help you cope with your depression. Your doctor will more than likely mention antidepressants. Do not hesitate to ask all the questions you have to understand how these drugs work. Side effects are associated with these drugs, and you will have to wait a couple of weeks before seeing a difference. Taking antidepressants will help you relax and give you the energy you need to go through your daily life while looking for long term solutions to your problems. You should apply these five tips and make going to a doctor your priority. Keep in mind that getting over your depression can take some time, but your efforts will be rewarded. Have you been feeling depressed lately? It is time to take action and get the help you need. You should read this article for some helpful tips on how to deal with your depression. Do your best to adopt a positive attitude. You might not feel like accomplishing anything or looking for a solution to your issues because of your depression, but you need to fight these negative feelings. Positive thinking can help you take your mind off your depression. When you feel bad, try thinking back on your week and identify a few positive things. This exercise will help you realize that not everything is as bad as it seems. Relaxing and meditating should help you focus on the things you need to accomplish to feel better about yourself and get rid of your depression. Avoid spending most of your time not doing anything. You should try going to work like you normally do and plan some activities for your evenings and weekends. Do things you find enjoyable and relaxing, and spend some time with people who make you laugh and know how to listen to your problems. Try keeping a normal schedule for your meals and your sleep. If you find it hard to keep your lifestyle under control and plan activities that will help you relax, you should get a pet so you have an excuse to go for walks and follow a schedule. Make an appointment with your usual doctor to talk about your depression. Your doctor should have some useful advice for you and will also refer you to a psychiatrist or a psychologist so you can treat your depression. Do not expect to get rid of your depression by simply waiting for things to get better. You need to do some work on yourself, with the help of a professional. Open up to the professional who is treating you and consider going to therapy for a long period of time so you can find out what is really causing your depression and address the problem at its core. The professional who treats you will more than likely give you the option to take some anti-depressants. Medication has its pros and cons, but it will definitely help you cope with your depression on a daily basis. Taking anti-depressants will help you relax and focus on the positive things in your life. If you feel better, you will have enough energy to actively look for solutions to your problems. You should not consider medication as a long-term solution and contact your doctor if you notice any side-effects. Once you start feeling better, you should focus on making some meaningful changes to your life so you do not get depressed again. This will be easier once you know what was causing you to feel depressed. You might need to get a job that is less stressful or where you have more responsibilities and can really help people, or spend more time on a hobby that helps you relax and express yourself. Making some new friends, moving to a different area, improving the communication within your family or thinking in a more positive way should help you avoid becoming depressed again. Use these tips to battle your depression, but remember that recovery can be slow. Remember that it is very important you get help from a professional. Depression can affect almost all aspects of your life. It can sometimes even be a struggle just to get out of bed in the morning. If you are one of the millions suffering from the effects of depression, it is time that you took your life back. This article will help point you in the right direction and give you solid advice to help fight your depression. Change your habits that often get you down or make you feel depressed. In everyday life, you are often faced with circumstances that are beyond your control. If you are one of the many who tends to assign blame to people for your bad experiences, you need to find a way to better cope during these times. Instead of letting yourself get too depressed, tell yourself that you don’t have to feel the negativity that you’re feeling. If you are really down about something, add some humor into your life to push negativity into the background. When you’re feeling down or just have the blues, avoid using the word “depressed”. Oftentimes, the word “depressed” in itself can bring about more depression. By using the actual word, you are giving it more power over your life than you should. Next time you are feeling down or are in a bad mood, say you’re in one of your low moods. Don’t use the word “depression”; it carries too much baggage. It is important that you find a positive way to channel your negative thoughts. The reason many people suffer from depression is because of misplaced anger or uncontrollable negative thoughts. Find a hobby that you take pleasure in and it will help you channel your negativity into a positive situation. Remember, it is okay to feel what you are feeling and get it out into the open. When you feel angry, blow some steam at the gym or go out for a jog. Don’t repress your feelings because that makes depression worse. Surround yourself with things that make you happy, especially at home. When you go home from a tough day at work, you should see things surrounding you that give you pleasure. Put pictures on your wall that evoke a sense of peace or love for your family. Favorite heirlooms or objects given by loved ones can make you feel happy. Take some of these happy thoughts and objects into your workplace too. It will make coping with your job much easier. Get realistic with your goals and what you want out of life. Don’t want more than you can achieve and don’t set your standards beyond your reach. Many people feel depressed when they don’t accomplish something within a given time. Oftentimes, over achievers will also experience depression when they feel that they have failed. It is okay not to achieve everything on your goal list. Instead of tackling your problems as a whole, take your goals and issues and break them down into simple lists. By taking complex issues or goals and breaking them down, you will be much more successful. Depression can hinder your overall view of life and it is important that you still find the silver lining now and then. 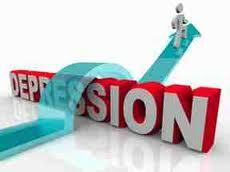 Don’t let depression work its way into permanent residence in your life. Use the tips from this article and you will see that your depression doesn’t have to stay. Millions of people suffer from depression, so if you are one of them you are not alone. Although medication can work wonders for relieving some of your depression, there are also active steps you can take to keep depression from getting the better of you. This article will give you some great ideas to help you get going when depression has got you down. Befriending negative people can leave you feeling down and depressed. Surround yourself with positive people who enjoy life and can laugh at themselves. Doing this will help you to keep a positive outlook on life, and see the joy in it rather than the sadness. Go out with your friends and have fun, because creating new good memories can help to push out some of the bad ones. It can be easy to lose interest in activities you once loved when depression takes a hold. Things you once enjoyed like sports, photography, pottery and other pleasurable activities fade away into memories. Make a point to actively pursue things that you enjoy doing, even when you don’t really feel like it. Once you are participating you will remember why you love it and will be happy that you went. A big symptom of depression is negative self-talk and thinking. You can not let negative thoughts creep into your mind because eventually you will start to believe them. Instead, practice positive self-talk and thinking. Remind yourself of what your strengths are, the goals that you have accomplished and what it is about you that you and others like. If you can not stop thinking negatively then force yourself to counter each negative thought with a positive one. Positive thinking can help you to feel better about yourself. Sometimes depression takes a hold because you are running away from facing something. Maybe it is something unspeakable, a disagreement with a loved one or avoiding the bill collectors, but hiding from confrontation can make depression symptoms worse. By confronting these problems you can fix them which will help alleviate some of the dread that you are feeling. This alone can lift a giant cloud from over your head, but you have to make that first step. It is common to get a little depressed when things do not go your way in life. Try not to set yourself up for failure by setting realistic goals for yourself. If your depression is stemming from being overweight then setting a goal to lose fifty pounds in one month is completely unrealistic. Set your goal for two pounds a week instead, which is more realistic and will help to keep you motivated. It is important to work your way up to your major goals, and celebrate each small victory you achieve along the way. Depression can really have a negative impact on your life and the life of those around you. Luckily there are many different ways to battle the symptoms of depression, and now that you have read this article you can try some of them out. Depression is a mental illness that is rather common, and it affects people of all ages and genders. Depression can be debilitating and leave you not wanting to do things that you used to find pleasure in. Depression can leave you feeling isolated and not wanting to participate in life going on around you; you may also feel like you would rather watch the action from the sidelines. If you have been dealing with depression, there are different things that you can do to help alleviate symptoms and begin feeling a little better. This article will give you some great ideas for overcome your depression and begin feeling like your old self again. If you feel like you are having trouble battling your depression on your own, you should seek the help of a professional. Your family doctor is a good place to start, because they can point you in the direction of a professional who they believe could help you. Most family doctors are not specially trained in the field of mental health, but they are an excellent place to start. There are many professionals trained in the field of mental health that could help you overcome your depression. If you happen to surround yourself with negative people, it can end up having negative consequences on your mental health. Those who can not find the happiness in life usually feel like they need to make others feel as low as them. If you find that you are surrounding yourself with people who are negative minded, it is time to change friends. Surrounding yourself with people who are positive minded can really help to give your attitude a much needed boost. Positive people motivate and inspire you to see the good in life, which can be helpful if you suffer from depression. Take time to notice the little things that you probably would otherwise miss during the day. Watch the sunset, whistle back to a bird in a tree and think about why these little things you so often take for granted help to make the world a beautiful place. When all that you see is filled with doom everywhere you look, it can make your depression much worse. Remember those little things that make life special, and worth living. They might be hard to see when you are suffering from depression, but it is important that you take time to notice these small things. When depression takes a hold of you, you can easily feel defeated by life. Luckily, depression can be effectively treated and is not something that you must live with forever. The best way to treat depression is to be proactive in your own treatment. Recognizing that you are depressed is the first step, and a big one at that. The next step is to get yourself some help. Many people battle depression at some point in their lives, and just as many people win the battle against it. Apply the advice from this article to help get yourself feeling like the old you again. It is easy to become depressed if you do not keep your focus on the positive things in your life. Being depressed does not mean you have some mental or emotional flaw, and anyone can be affected by depression when life gets difficult. The most important thing is how you deal with those difficulties. 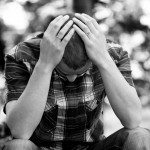 This article provides some great tips to help you overcome depression. 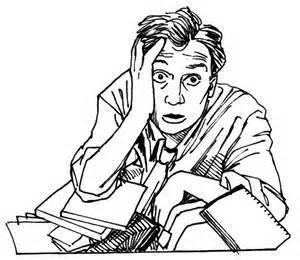 If you allow yourself to get overtired from lack of sleep, you can become overly stressed and depressed. You may not feel you have the mental, emotional and physical energy to fight off the feelings of hopelessness that can seem overwhelming. Plan your schedule in such a way that you are getting the right amount of sleep for you. Most people do best with at least eight hours of sleep each night, but some can get by with less and others need more. There is valid research that proves humans benefit from exposure to sunshine. Vitamin D is absorbed when you are out in the sun, and just getting out in the fresh air makes most people feel more positive about life in general. Whether you are going for a walk, a run or engaging in some other form of exercise, beneficial hormones are released into your system and make you feel better your overcome depression. Having a nutritious diet supports the way you feel and your energy level. Making sure you drink enough water to stay hydrated is an important part of your healthy lifestyle. If you feel better physically, it only follows that you will feel better about life in general. You may already have many friends, but it never hurts to expand your horizons and add a few more. Make sure you pick friends who will have a positive outlook on life rather than dragging you down with negative thoughts. It is good to help others if you can, but do not allow them to drag you down with their problems. Reading is a great pass time, and there are many good books available. Whether you are just reading an interesting novel, or reading a book to further your knowledge, it is a great way to get your focus off whatever may be causing you worry at the time. Whether you just want to discuss your circumstances and feelings about it with a good friend, or join a support group for people suffering from depression, talking about your feelings is good. Make sure you have absolute trust in whoever you choose to discuss your feelings with. You do not want your problems to become common knowledge with casual acquaintances. Keeping a positive outlook may be difficult if you have just lost your job or ended an important relationship. Try to remember that the future holds many more possibilities, and you just need to focus on finding them. Even though depression can be a difficult experience to get through, you do not have to give in to it. 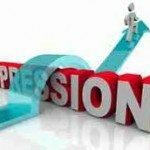 Use the tips in this article to help you overcome depression. Identifying the causes of depression is key to dealing with your diagnosis. Acknowledging the cause helps you think of solutions to bring you out of your depressive state of mind. Continue reading for some helpful tips concerning the typical causes of depression to help you examine yourself further. What traumatic events have happened in your life? Sometimes these events can trigger depression. Sometimes they are events that happened long ago, but sometimes they are events that have happened recently. Make sure you examine yourself to see if perhaps there are signs that an event is triggering your depression. If so, talk to a professional about these experiences. The death or loss of someone you love can easily trigger depression. While you’re going to mourn, and you’re going to have a hard time, you must stay positive and strong. Find ways to cope with dealing with the loss of a loved one. It takes time, but the key is to handle things one day at a time. Sometimes your environment can lead to depression. There are many stresses in this life, and changes in your environment as well as stressful events can lead to depression. Also, no matter what is going on, when dealing with depression, you should focus on limiting the amount of stress that is in your life. 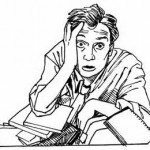 Think of what is causing stress in your life, and work to eliminate those problems. Sometimes depression can be triggered by side effects of different medications or drugs. What prescription medications and drugs are you taking? Speak with your doctor to see if this could be the cause. Identify the source of the problem, and do something about it. People are social beings, and you need a social life in order to survive. Some people enjoy social situations often, and some people less often, but you definitely need people in your life. Sometimes depression can be triggered by loneliness and missing social support and fun with others. Evaluate your life, and see if this might be the case. If it is, do something about it. 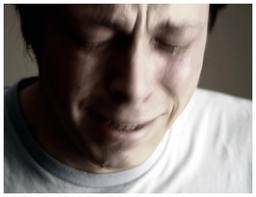 Sometimes depression can be caused by genetic and biological elements. In this case, you should be speaking with your doctor to find this out. If this is the cause, then you can take certain medications to help you. Sometimes certain physical ailments that you might go through can causes of depression. Your doctor will be able to pinpoint this and plan your recovery process. In this case, it should definitely be temporary and tied to your condition. After you have identified the cause, this should help you feel relieved and less stressed out. Do everything you can to use this to your advantage. Dealing with your depression can be very difficult. However, identifying the cause has much to do with your recovery. Your instincts often cause you to run away from your depression, but you need to confront it instead. Remember the tips and advice you’ve read here as you work towards finding the cause of and Causes of depression. If you suffer from depression, you know how debilitating it can be. It zaps the energy out of you and causes you to not even want to get of bed. You get a feeling of hopelessness that takes the enjoyment out of everything. There are ways to deal with depression. If you want to stop feeling like this and are ready to do something about beating this depression, read this article for some sound advice and How to deal with depression. You should first acknowledge that you have a problem and make a commitment to deal with depression. Depression is a personal thing, and your desire to get over it has to come from within yourself. Take a deep breath, and gear yourself up. Tell yourself that you will not be defeated by depression anymore. After you make that promise to yourself, you can develop your plan. It will be useful if you keep a journal of how you feel every day. This is like a personal diary. Be honest with your entries, write down your feelings and the activities that you will engage in. Sometimes, the writing process is therapeutic. It helps you bring your feelings out on paper so you can see it objectively, instead of just keeping it inside your head. Research has shown that people who have other people to talk to are less depressed. Depression can get worse if you pull away from others and keep to yourself. Therefore, look for a support group in your local area that you can join. Depression is a more common condition than you think, and you can probably find a good support group by contacting your health care provider. Also look into online communities that can offer you support. These are especially effective if you just want to post a message during the night when you feel blue. Knowing that there is always someone there to hear you can help you feel better. Involve trusted members of your circle of family and friends and let them know what you are going through. They can comfort you and be there for you when you need them. Take some time to do things with them. Go out to a movie, go take a walk, and just give yourself the opportunity to have face-to-face time with them. This socialization is beneficial in improving your outlook. Make sure that your doctor knows how you are feeling. Get a complete physical. Your doctor can determine if there are any underlying medical conditions that are affecting your mental health. Deficiency in certain nutrients can sometimes lead to mood changes. Other hidden health problems can also be the cause. Try different therapies and medications that your doctor recommends, and keep a record of how you feel after you get treatment. Different drugs have different effects on people, and doing this can help you find the best treatment for your particular condition. If one thing does not work, try something else. Being with others deal with depression can go a long way in reducing your sense of isolation. You can also encourage each other, give and receive advice on how to cope, and share your experiences. Apply these suggestions to your depression management. Depression can be treated. Hang in there, and do not give up. Your goal is to eliminate your depression completely, but you have to work on it in order to do that. In other words, doing the little things to help manage your depression as you battle against it is key. Consider the following tips how to cope with your depression. Make sure you work to develop supportive relationships. Life is hard enough, and everyone goes through hard times and has problems. Having the right kind of people in your life is key to dealing with depression. If you have people in your life that just drain you further, things are just going to get worse for you. You have to make sure that you stay social. If you keep up with social interaction, then you won’t have as much time to think about your problems. This can be difficult as your mood and emotions take over, but this is all part of facing your depression. If you don’t face it, things again are just going to get worse. You should keep a journal. While you’re going to talk to others, this journal is for you to really get serious. Record your negative thoughts, and use that to help you get rid of them. If you can put them down on paper and let them go, it can help you to focus on positive things instead. Make sure you get enough rest each day. You should shoot for at least 8 hours of sleep every night, but there is more to it than that. Think about your days, and think about what events happen. You have to give yourself enough physical and mental rest. Sometimes, naps may be required, and you can’t just constantly go full force until you pass out. You have to have enough rest, and this can help you cope with your depression. Make sure you do daily relaxation techniques. Prayer can help immensely. Try breathing techniques and yoga classes, and work towards your relaxation. Sure, there are going to be many times in your day that aren’t relaxed, but focusing on some relaxation can really help your cope with your depression. Spending time with your pet can cheer you up as well. Sometimes human issues are just too much, and it can be very overwhelming. 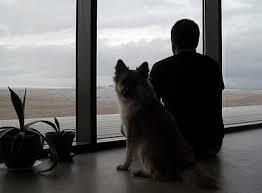 Taking time out of your day to relax and share some special time with your pet can be very helpful. They appreciate the simple things in life, and it can help simplify your situation as well. Make sure you get plenty of exercise. Exercise can help you feel better mentally and physically. Spending time in the sun is key as well. Exercising releases endorphins in your brain, and this makes you happy. None of the things that were mentioned will cure depression, but they will make it easier for you to deal with and overcome. You can’t ignore your depression or it will get worse. Remember the helpful tips you’ve read here as you continue to battle against your depression. Depression is a life changing illness that can make life a lot harder to take on every day. If you have been diagnosed with this, you know that it’s rough and probably want to know what you can do about it. Here are a few ways you can minimize your symptoms so that you’re able to have a more fulfilling day. One of the things depression does is it makes you lose interest in things you once really enjoyed doing. Make sure that you don’t allow this to happen, and get up and get into a hobby. Find something to do that will take your mind off of things for a while. Distracting yourself from all of that negative thinking can really shift your perspective. 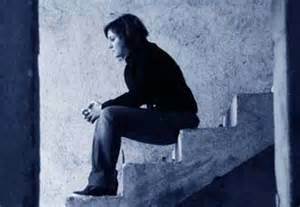 Thinking negatively may be hard to avoid, especially when you are dealing with depression. Do your best to break this habit, tell yourself something positive. If you have trouble doing this, tell yourself that you’re a great person and that everything will be fine. Even if you don’t think so, eventually it will make you feel better and you’ll slowly start changing your thought patterns. Don’t take on big problems with an all-or-nothing approach. Break down things into smaller, more manageable steps. This makes it a lot easier on you and your mental well-being because it won’t seem like such a giant hassle. Get out some paper and take things on one step at a time while keeping track of your progress. Get out there and hang out with your friends. Go to places where there are people that you get along with. Anything that gets you out of your element and around others that you enjoy being with can really lift your spirits. Even just going out to eat or something with someone else will take your mind off of things for a while. Exercise releases chemicals in your body and brain that are natural anti-depressants. It can also distract you from thinking too hard, while make you more healthy physically. Exercise doesn’t cost you anything, but it has a ton of benefits. Start off by just going on more walks, and slowly work your way up to more strenuous exercise. Sleep is very important to your mental state. If you don’t get enough sleep, it may be time for you to ask your doctor for help. They may be able to give you some kind of sleeping medication, or advice on what you’re doing that’s not allowing you to sleep correctly. There are also over the counter remedies that you can try too. Just be sure that you give sleeping medications a break after you get into a good sleeping habit because they can be addictive. Depression is a very serious illness and should be treated as such. Use the advice above and get yourself to be less depression as best you can. This advice is not a substitute for professional help, but it can be added to any treatment plan. Don’t let being depressed run your life!